Lean product management and design thinking are some of the most innovative approaches to launching a product in the startup world today. 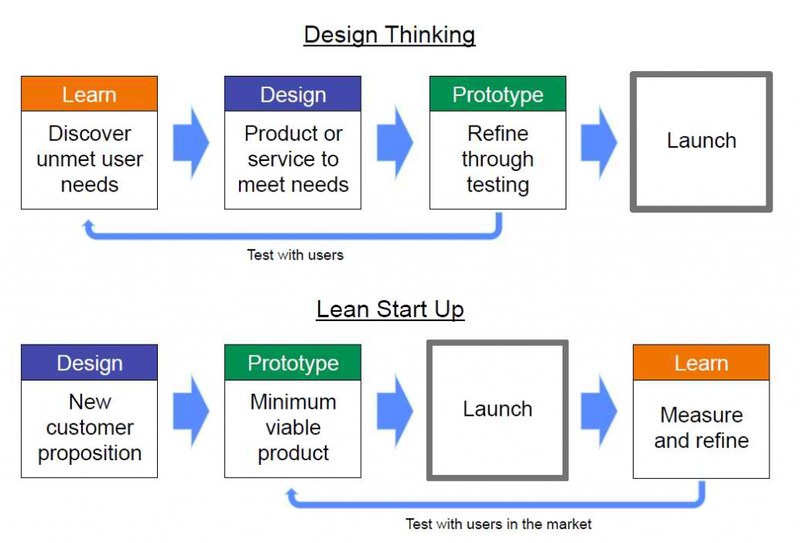 In the language of entrepreneurial incubation, design thinking refers to a designer’s approach to creating products; while lean product management tilts heavily towards an engineering-based perspective. While the question is not which approach is the most effective, product managers are often faced with the challenge of having to decide the strategy to adopt at different stages of the product development life-cycle. Is it better to begin with the lean methodology of using data generated from potential customers to iterate quickly? Or is it better to begin with design thinking – understanding customer “pain points” first in order to develop innovative solutions? The choice certainly doesn’t seem easy. Lean manufacturing principles were first applied in the early 1970s by Toyota’s automobile plants as a strategy for improving the efficiency of processes by cutting down on waste. 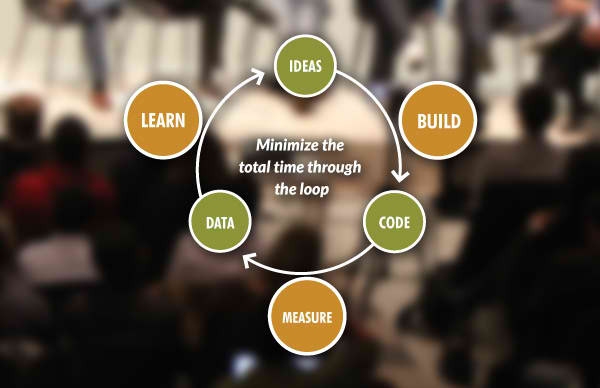 The lean principle has since been applied in “non-manufacturing contexts”, particularly with startup entrepreneurs seeking innovative ways to launch a product. The lean strategy is a customer-oriented approach aimed at developing products that are well-suited to customer needs by continually engaging them throughout the product development cycle. You’re out of your office in search of prospective customers to test your idea with a keen eye on the market. You get feedback from them with regards to their preferences for the product and then you use the data gathered to iterate as quickly as possible. You continue this process, gleaning lessons from failed experiments and using minimal resources to launch the product and ship out as quickly as possible. Believed to have been developed in the late 90s, design thinking is associated with processes aimed at developing customer-centered products that evolve from getting to know customer’ needs through a form of “participatory research” and then working to provide innovative solutions to those needs. It emphasizes spending extensive time with potential customers in communities in order to discover their “pain points” so as to become driven by empathy to provide innovative solutions to their identified problems. As such, what you have in design thinking is a value proposition with an emotional attachment; which means you are not only concerned about the product meeting customer needs, but you also want to know how they’ll feel using the product. This drive therefore ensures that your customers don’t just get a value for their money from your product but are also emotionally satisfied with it. With regards to project initiation in lean product management, the business idea is already determined from the onset (hypothesis) before it is tested with target customers to ascertain its validity. As such, it can be changed if it is discovered that it does not suit the needs of customers, or it can be modified to fit in. On the other hand, in design thinking, the idea is not determined from the beginning because the problem to solve is unknown at the start of the project. It is conceived only after research is conducted with the target customers and after feedback is received from them. The lean model mostly adopts a quantitative evaluation technique to test hypotheses when conducting research with the target customers. It emphasizes using “actionable metrics” to evaluate the effectiveness of processes and solutions developed by providing useful analysis on key performance indicators (KPIs). Design thinking on the other hand adopts a qualitative approach to research. It emphasizes participation with potential customers in the study in order to experience the emotional attachment they would have towards the product. As such, various “sophisticated” qualitative approaches such as Personas, 2-Axis Mappings, User Journeys, or Causal Maps are adopted to elicit response from the target customers. Both approaches are customer-centered, which means both focus on developing innovative products that solve specific problems for customers. They both involve using feedback from customer research to iterate quickly and launch products with a minimal amount of time and financial investment. This therefore implies that both approaches would help you quickly develop not just innovative products, but products that meet customer’s specific needs. But the challenge is how the two strategies should be adopted at various stages of the product lifecycle. 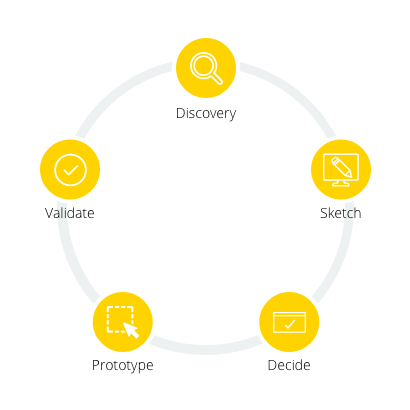 The lean methodology has an embedded structure that helps you test hypotheses quickly at minimal cost. But the question is – how to generate your hypothesis? It isn’t quite easy to discover the needs of customers if you haven’t identified their “pain points” by being in their shoes. This is where design thinking comes in. It provides you with the framework to do that. Zenois emphasized the fact that getting to know the paint points of customers does not come easily; it involves extensive time spent on interactions with them. He cited the example of how DoorDash, an online-based startup that offers meal delivery services, came to discover their customers’ needs (i.e. customers want their meals delivered to their offices) by interacting with a woman who runs a popular macaroons restaurant. Design Sprints, developed by Google Ventures, represents the bridge between lean product management and design thinking. It has a framework through which an idea can be generated and solutions provided by the end of the week. Lean product development methodology and design thinking have traditionally created not just disruptive products, but also products loved by customers. With the linking of the two models comes design sprints which are one of the latest frontiers in the world of entrepreneurial incubation. Don’t be left out of the revolution. Plycode’s Design Sprint Program allows you to discover, prototype, test and validate your product idea with real customers in just one week.